Upper James Toyota | Blog | It’s that time of year again… TOYOTATHON is BACK! It’s that time of year again… TOYOTATHON is BACK! It’s the sale you’ve been waiting all year for – TOYOTATHON is BACK! 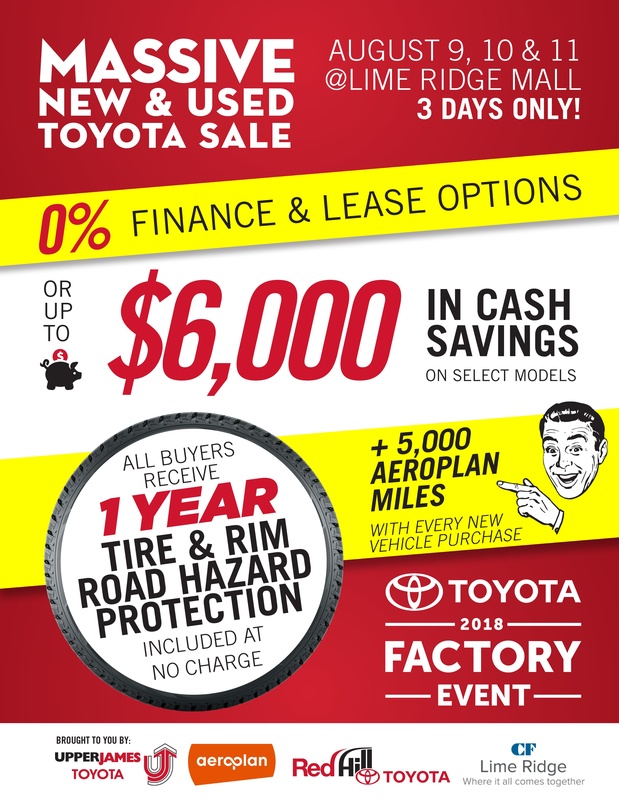 For 3 Days Only, Upper James Toyota and Red Hill Toyota join forces and return to Lime Ridge Mall to bring you the best deals of 2016! August 18th, 19th and 20th – #teamupperjames and #teamredhill will be on hand with over 200 new and used vehicles in stock – ALL sale priced! For more information or to pre-book a meeting time with a Upper James Toyota Sales Professional, click here.